Talk about making us wait! It was back in early October that we discovered which 16 acts would perform at Malta Eurovision Song Contest 2018. Since then, we’ve learned some of the running order — but no songs. Until now, that is! Malta’s PBS has released all 16 songs, along with lyric videos for each entry. You can check them all out in the list below. Once you’ve done that, make sure to vote in our poll to see who your favourite is. MESC 2018 will take place on February 3. As part of the song release, TVM has also announced a change to the contest’s rules this year. The final will now have a 50/50 split between a televote and jury. This is a shift from the 100% televote in MESC 2017, and the previous system which heavily weighted the jury vote against televote. 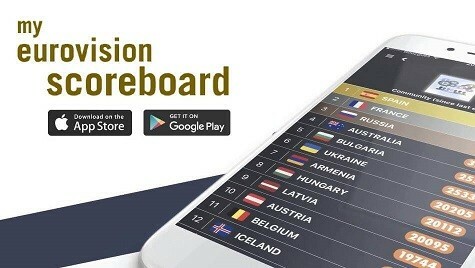 With MESC now mirroring the full Eurovision voting system, will that be a boost to help bring them back to the Grand Final? There are your 16 songs — now you can vote in our poll. Remember, you can only vote ONCE, so make sure that vote counts – because you can vote for as many of your favourites as you’d like! Don’t forget to let us know your favourite in the comments section below. You can also let us know your thoughts on the change to the final voting! Well done to Lawrence Gray for his amazing song and his new style. This artist is so talented and has such an impressive voice, he can sing anything he likes! I always love his songs and I think he should have won this festival long ago. Malta has lost great opportunities by never sending this truly exceptional artist. I’ve had some fun with ‘Rocket’ and found ‘Love Renegade’ as accurate and matching singer. Still, both aren’t memorable, as well as well supported Song for Dad. Lawrence Grey could win this. I can imagine the camera angles in this song! For me it is Lawrence Gray. He should be the winner. I like some other songs but Lawrence Gray’s Love Renegade is my favourite. I like Song for Dad. Emotional and, yet, pretty modern for me (I like old songs a lot). I like that folk sound it has and it has an original concept. Singing with his dad on stage…I can already see it on the Eurovision stage. Hope they win. Been playing over and over since I heard it. I am saying Brooke wins, and they change the song such as with Ira two years ago. I think it’s the only hope, and I am a HUGE Brooke fan. Christabelle has the best “song”, but Brooke would be the best artist to send by far. I really like Lawrence Gray’s song. I do hope he does well and maybe even win. Congrats to all contenders that made it to the finals. It´s going to be a fantastic evening to see and hear all of you doing your very best. Good luck to all of you! The rest are just forgettable. Sorry. How on Earth is Lawrance Gray 3rd? Btw far his worst attempt, and very cheap produced song. Thanks, Colin, such a good summary and helped me with my thinking process. You are very much welcome. I am glad if I helped, even a bit. Song for dad is the best one this year, Malta will make it right if they send them. For me Brooke will be great choice. Malta… Please send “Song for Dad” That song literally made me emotional. I unfortunately lost my dad three years ago and this song really resonates with me! Love it! Why you have same name as me bro? Meh! Unlike last year, none of these songs really has much impact…generic, run-of-the-mill, cliche English pop songs that leave you wanting….there’s no jewels in here like “Kewkba” or “Unstoppable” from 2017. Sorry, Malta, no final for you again this year! Bring back Janice Mangion and some Maltese language songs for heaven’s sake! Unfortunately the selection isn’t that good. The best entry is Deborah C Turn It Up in my opinion. I try to be positive when I comment, but that’s a terrible selection. Like many had already said, it wouldn’t be surprising if all the songs came from the same composer. There’s almost no genre variation. Most of the lyrics are cringeworthy. All entries are unremarkable. I don’t like Song for Dad, but it’s the only one who has a differential. It’s cheesy and outdated, but can make some people tear up a little bit. It can be cute when father and son share a stage. So, it’s the only one that can create some sort of a moment. Is it possible to not even stand one song. All of these are bland, boring, plastic, not even fast-food music, cheesy lyrics all over the place and in each and every song. Why do so many of the Maltese Female Soloists look the same? As regards the quality of the songs, once again, not good. Having said that, it is not much worse than last year. Song For Dad is tolerable, I guess! I love “Supernovas” with Jasmine but there are a lot of good songs. A lot of songs sound the same though which is a bit of a shame, I reckon that could help songs like “Song for Dad”. But good quality from Malta this year, hope they make the right choice. Also i’ve been reading comments on Brooke’s song and i find it disgusting how people can be so blind on a artist’s name that they don’t care what the song sounds like. Brooke’s song is so basic with awful lyrics. I’m sure some people do love the song and it’s there opinion, but i just need one person to reply to me saying what’s so amazing about Brooke’s song. The best part comes after 3 minutes. Wow Malta… no. sorry. Next! Well… that is a mixture. My top 5: 5. Aidan (7) 4. Christabella (7) 3. Miriana (8) 2. Deborah C (8.5) and #1 Joe and Richard (9.5)… I could imagine this in stage and it just felt so heart warming… to me a finalist top 10. Weak selection! Most songs have the same sounds! It’s such a pity. Where are the great Maltese ballads? Only one ballad – quite decent though. Bring BACK JANICE MANGION with a big ballad in Maltese. She would have slayed this year! As expected, Malta is trying to be like Sweden again.. and failing again. Heart of Gold is a bad cheap attempt to emulate “As I Lay Me Down”. And the rest of the songs.. hard hard. Don’t even compare a masterpiece like As I Pray Me Down to Heart of Poop. I think they tried to make the famous “radio-friendly sound”, but what they’ve got was “radio-hostile”. Ha ha ha… see my comment just a little below. I totally agree with you. It will be interesting to see how the stage performances will sway the results. Funnily enough, I have to agree with you all points. One thing I would add is that Song For Dad has a nice build up and sounds like a better version of Mall. Yeah, I did 🙂 Along with Back to Life and Song for Dad, it’s the only song I can see growing to the point of actually entering my playlist. I like their voices, the lyrics are nice and there is a good dynamics. Gotta, admit that as I was listening to ” Heart of Gold” I suddenly remembered ” As I lay me down” by Wiktoria, which is good because I loved that entry. Wow, really good entries this year from Malta, and very surprising. Brooke’s with her best song so far, Christabelle, and “Song for dad” almost made me tear up. I don’t really like any of them, sorry Malta. Song for Dad is 5th on the poll? WTF, it is my number #1 and the only song that deserves to win. Heart of Gold is so forgettable. With Malta comes advertisements, just as with tea comes biscuits.